When you are dealt a matching pair of cards you have the ability to split the hand into two separate hands, and play them independently. If for example you are dealt a pair of eights for a total of sixteen. Sixteen is not a good hand, since it is unlikely to win as is, but is very likely to bust if you draw to it. Here’s a great chance to improve a bad situation. Usually you are required to turn the cards face-up in front of your bet. Then place a matching bet beside the original bet in the circle. Note that you must bet the same amount on a split. The dealer will separate the two cards, and treat them as two independent hands. Let’s say you draw a 3 on the first 8, for a total of 11. Many casinos will allow you to double down on that hand total of 11 at this point. When this is allowed, the rule is called “Double after Split”, predictably enough. Regardless, you can play the first hand to completion, at which point the dealer will deal a second card to the second hand, and you can begin making play decisions on it. If you get additional pairs (in the first two cards of a hand), most casinos will allow you to resplit, making yet another hand. The most common rule allows a player to split up to 3 times, making 4 separate hands, with 4 separate bets. If double after split is allowed, you could have up to 8 times your initial bet on the table if you chose! 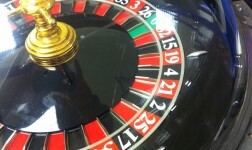 Some casinos restrict resplitting, and some allow unlimited splitting. Another fine point is that you are allowed to split any 10-valued cards, so you could split a (Jack, Queen) hand. However, this is usually a bad play: Keep the 20. The other complication for pair splits concerns splitting Aces. 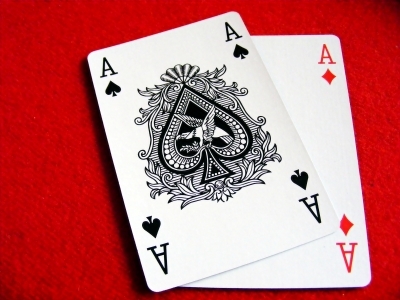 Splitting Aces is a very strong player move, so the casino restricts you to drawing only one additional card on each Ace. Also, if you draw a ten-valued card on one of your split Aces, the hand is not considered a Blackjack, but is instead treated as a normal 21, and therefore does not collect 3:2 odds. Some casinos allow resplitting Aces if you draw another, while many do not allow resplitting Aces although they often do allow resplitting of any other pairs. With all these restrictions, you may wonder whether it makes sense to split Aces. The answer is a resounding YES. Always split pairs of Aces.